1. By making a deposit in a bank account (please contact us for details). The order will be sent to you after the deposit is conluded. 2. Payment by credit card -MasterCard/Visa (this applies only to the transactions made in our store): up to 24 installments. 3. By Cash On Delivery - deliveries are made by courier or Hellenic Post (ELTA). For any further clarification or information, please do not hesitate to contact us either by phone - tel. 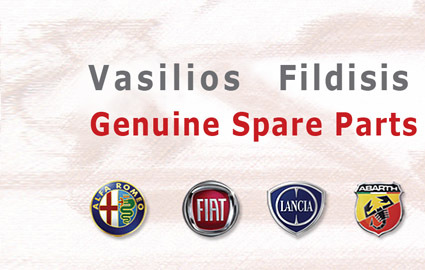 0030-210-2029985 - or by e-mail "info@fildisis4parts.gr".